I was all psyched to tell my daughter that we were going to have the first female President of the United States. Now I have to face the reality of a misogynist, violent racist taking over the most powerful and influential office in the world – and elected by the very people he despises, dismisses and maltreats. This is a devastating day for all women everywhere. We must never forget how hard our mothers and grandmothers and great grandmothers have fought to forge out a path of equality for all of us. This is a bitter reminder that we still have a very long way to go to attain the status of true equality. 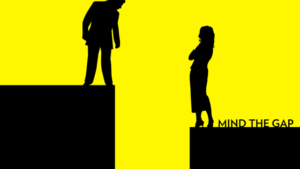 A devastating signal that unconscious gender bias is a powerful and insidious force operating at every level and in every corner of our society. That female leaders are held to impossibly different standards to men is illustrated in this painful example today. How could the most qualified candidate in American history lose out to the blustering incompetence of an egomaniacal reality TV star and failed businessman? The answer lies in those deeply ingrained gender biases and expectations that sees strong, capable women being torn down not just by men but by their own gender. I hope that all self-respecting women and men take this as a serious wake-up call today and use this as a springboard to consider how we can address these deeply ingrained biases to build a better, more equitable and more positive society for everyone. Make Your Meetings Matter. Get Energised!